An evening with Mike Lavigne | What's Best Audio and Video Forum. The Best High End Audio Forum on the planet! I just stumbled over a bunch of photo's and video's Mike send me around 9 months ago. 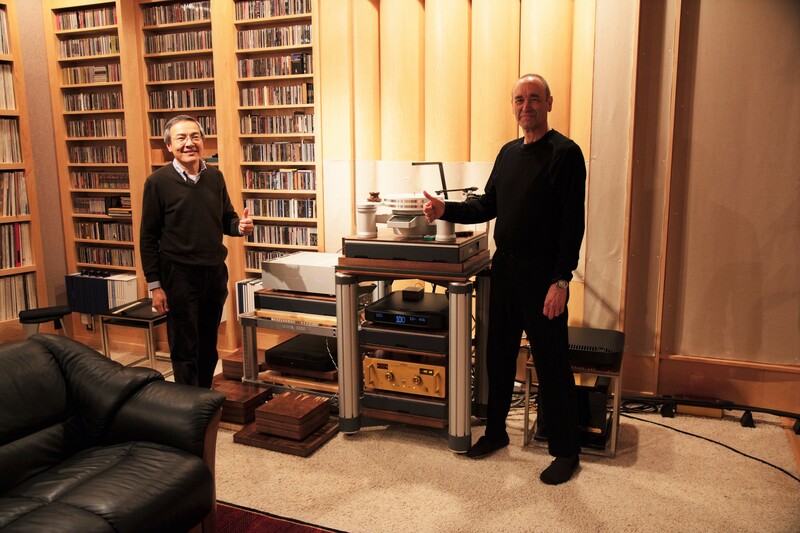 These were taken while Mike was hosting an evening for a group of audiophiles. Mike gave me the thumbs up on publishing these but I never got around to doing that, and shamefully have to admit I forgot all about it till now. I feel it's a very nice rendering of Mike and his dream environment imho. Mike talks about some of our products in the first video's, if that's of no interest to you just skip to the last 3. Stunning photos. Thanks for posting @Taiko Audio! Video's 3,5,6 have actual musical content, tape, digital, vinyl. Thanks for these videos. Cool to see Mike and system in action. Looking forward to my Daizas arriving on Monday. Beautiful home in a gorgeous environment...in and out. Best photos yet of the Mikel Cathedral. I thought the Lamm ML3s had been moved along. Can someone enlighten me as to what those acoustic treatments on side walls reflection points are, behind the tt? I've never seen that type before. They have, these photos where taken mid 2018! A polyfusor variation I guess. "He took the front tapered side walls and made them a huge bass trap on each side. He lined the cocoon wall corners with 2" fiberglass, pulled the false wall corner out about 18", and then tapered the front wall too (so it tapers to the corners of the large center diffuser). The final drawings show a false wall of fabric-covered 1" fiberglass. This creates a huge (it extends about 10 feet down the side wall and 5 feet into the front wall and is floor to ceiling) bass trap (and absorptive surface) on the front side walls and sides of the front walls; it also eliminates the 90 degree corner. The size of this bass trap is much larger than any tube trap and is built into the room." "On each side wall i have 6 Auralex T-Fusors, which are cheap, $59 list price each." Trust Mike to not just go extensive on his room treatments, but beyond the call of duty. Integrated into the room structure is pretty neat. His profile does not reflect the impressive stacks of REL 25s. Have they been eliminated since the 2018 photo also?